Buying A Write-Off Car: Can You Grab A Bargain? Plenty of cars and other vehicles that are written off by insurance companies are not necessarily as dead as a dodo. In fact, many can be fixed up and sent back onto the road in no time at all, and for any car buyer looking for a good deal, a write-off can prove tempting. However, you do need to be careful, as there are plenty of ways you could end up being taken for a – very dangerous – ride. Let’s take a closer look at some of the basics of buying a write-off, and what you need to do to avoid trouble. Cars are written-off because they are damaged beyond a point where insurance companies feel it will cost to fix. So if your car is worth $5,000 at the point of an accident, but repairs will cost more than that, no insurer is likely to give you a payout – and will write-off our vehicle. For a car buyer, the value lies in a written-off car that doesn’t cost as much to repair as the insurance providers think. However, some cars are written off merely because they are dangerous, and it’s important to understand the difference. To accurately establish the condition of any vehicle you are thinking of buying, you should always check with the Written Off Vehicle Register (WOVR). This initiative was created to prevent dodgy repair companies fixing up write-offs and putting them back into the market as used cars, rather than ex-write-offs. It’s a process known as ‘rebirthing’ and often results in the car getting a new identity. The truth is that whether you are buying new or a write-off, you should always check this service out regardless. 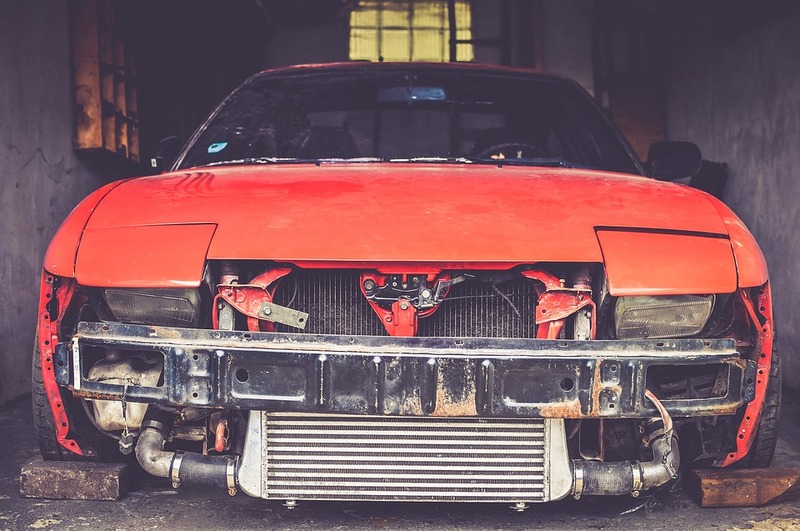 Obviously, the best value in buying a previously written off vehicle relies on you doing the repairs. They are a great option for a DIY project, of course, but you should be able to find plenty of professionals to help if you don’t have the skills. Check your local business directory for mechanics with experience of working with write-offs and smash repairs. Bear in mind that buying a write-off is not for the faint of heart, and it’s important to be able to estimate the actual cost of any damage. Some repair jobs could exceed your expectations, so always get it inspected by a qualified individual first. You will need to have a string of safety checks on your new purchase when it is fixed, to prove its roadworthiness. If you don’t go through this process, the car will be illegal – and you will end up in a lot of trouble if caught. You should also bear in mind that when you sell it on, it will be necessary to declare it as a write-off. And this could cause you problems, as most people will turn their backs on a car as soon as they realise its history of being a write-off. However, if you want to save money and grab a bargain vehicle that could last you for many years, the write-off market is worth a look – just be careful what you buy!